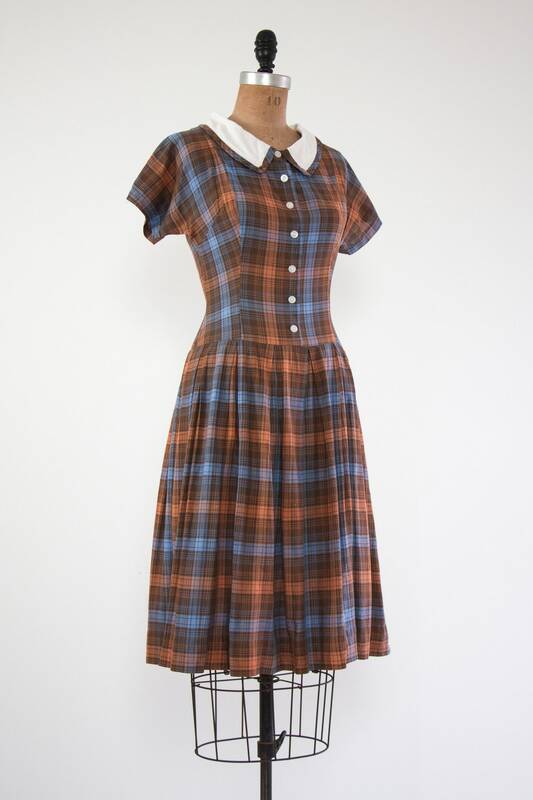 Vintage 1940s shirtwaist dress. 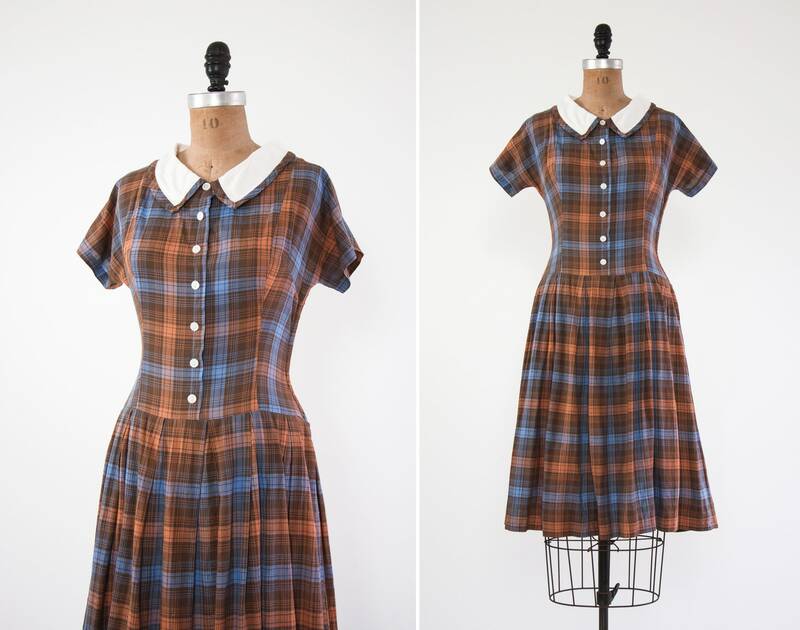 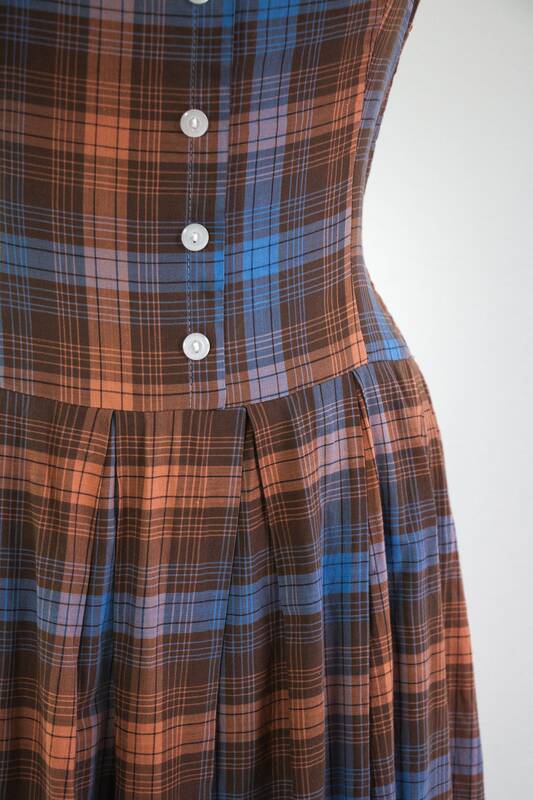 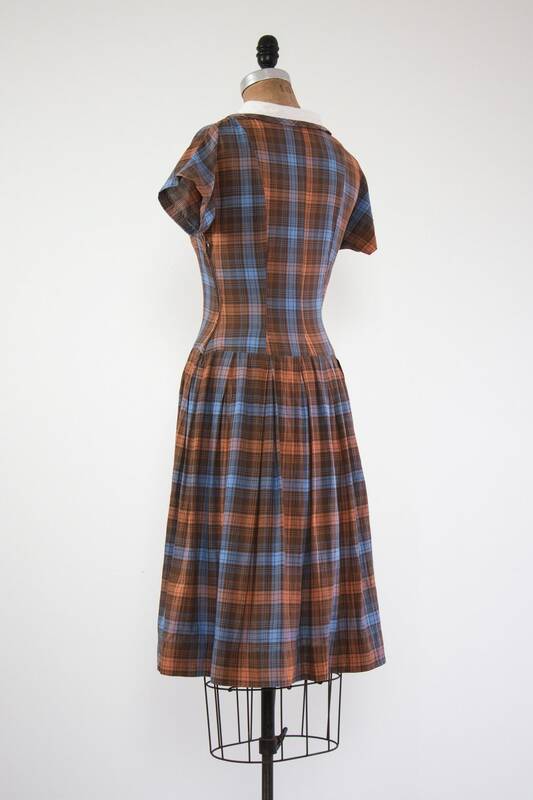 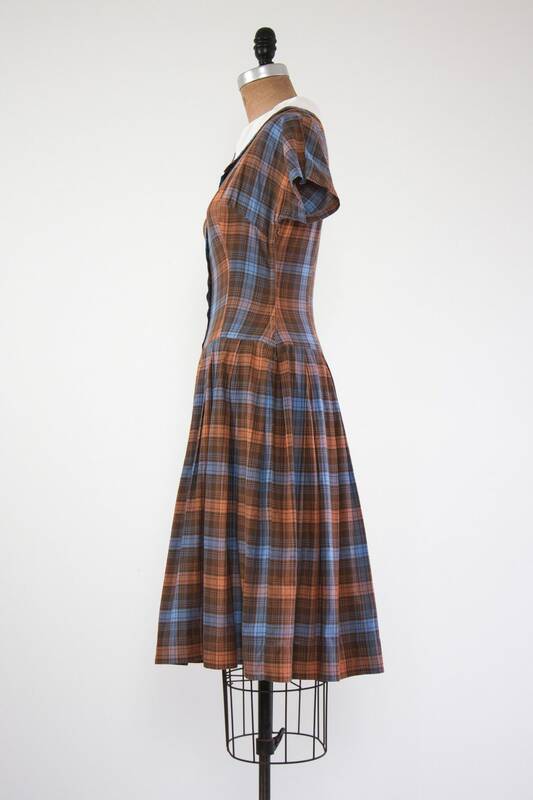 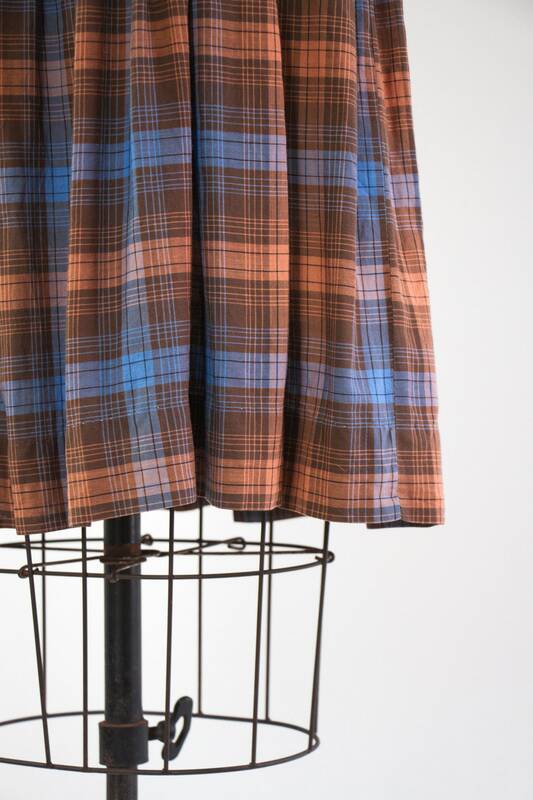 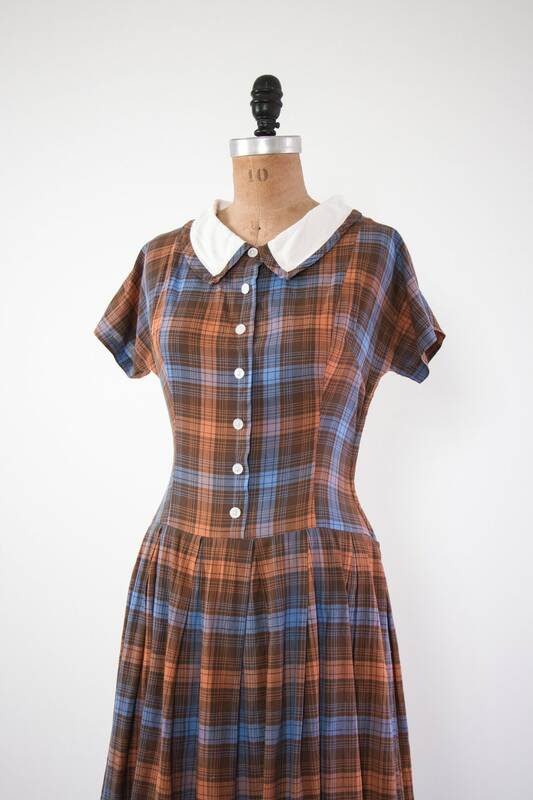 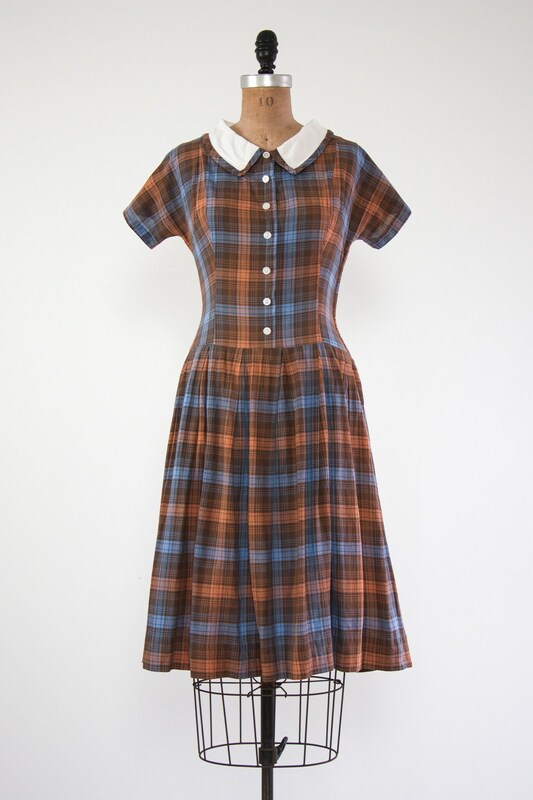 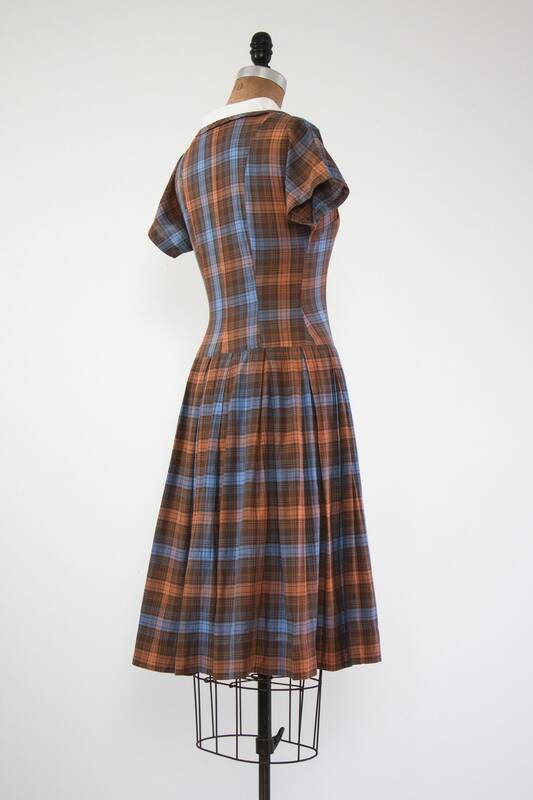 Made from lightweight brown plaid cotton with hues of blue and orange. 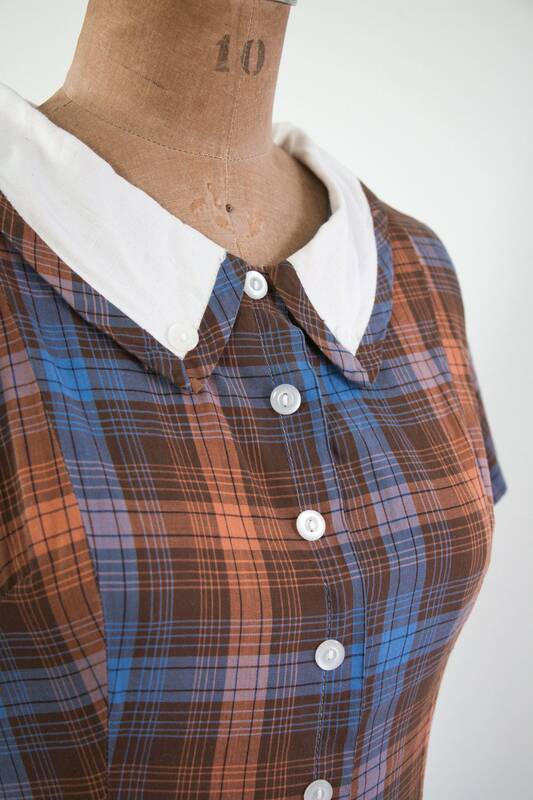 Has a fitted bodice, trimmed pointed collar with button detail, decorative faux buttons down the front, drop waist, full pleated shirt, and a side metal zipper.